1. Managing the tool supply chain which includes JIT inventory, warehouse operations and procurement. This activity can afford considerable benefits and cost savings to the customer. Direct overheads can be reduced, and working capital can be freed as stock levels are optimized. 2. 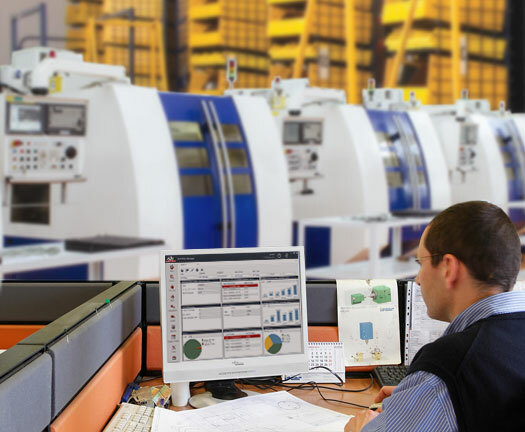 Selecting best-in-class tools and processes to maximize machining performance that will lead to productivity gains, continuation of driving the primary engine and significant cost reductions. The cornerstone of the CTMS approach is flexibility and modularity. We deliver to each customer with a tailored solution based on a comprehensive tool and process audit. We listen, and together with our customer, define the scope of services and targets, and then formulate a plan that will achieve tangible benefits. Tool management services include engineering and technical support, supply chain management, automated tool dispensers and tool room activities. Cutting tools play a pivotal role in lowering production costs. The tool price typically represents only 3% of total manufacturing costs. However, the cutting tool can significantly reduce machining cycle time, which means more productivity and profit. 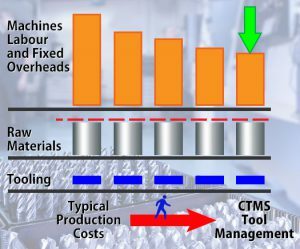 More and more customers appreciate that a CTMS partnership will drive continuous improvement in their machining processes and leading to sustainable gains in productivity. This partnership also frees up customers to focus on their core competency – delivering high quality parts on time at a competitive price. Improving productivity lies at the heart of the CTMS program. Productivity targets differ from customer to customer, but typically range upwards of 8% in reference to total tool costs. Customers committed to an aggressive test program can achieve even higher results. 1. 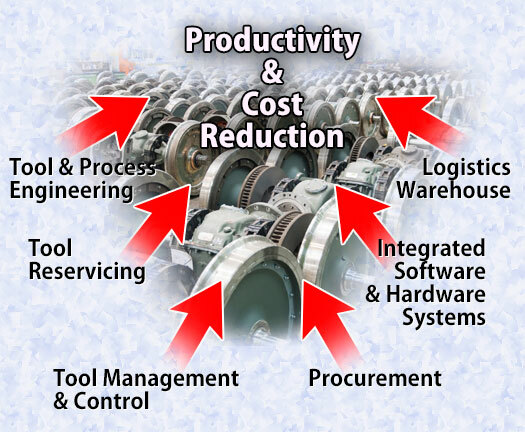 Increased productivity through reduced cycle times, better tool life and less down time. 2. 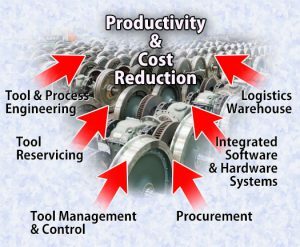 Reduction in the variety of tools used, better availability of tools, lower overhead, improved management of tool consumption data and reporting and more efficient procurement and stock control. If you don’t measure it, you can’t manage it! CTMS uses its proprietary MATRIX-TM software to record all tool transactions and to generate meaningful reports that measure tool consumption by cost centers, like machine, department, job and workpiece. The above facilitates benchmarking and measuring the CPU of tools, necessary to upgrade tools and sustain cost reductions.